...makes for a very (very) big catalogue, full of all of our favourites. Come down and pay us a visit today to take advantage of great pricing and for your chance to win holidays, hampers, bikes and more! 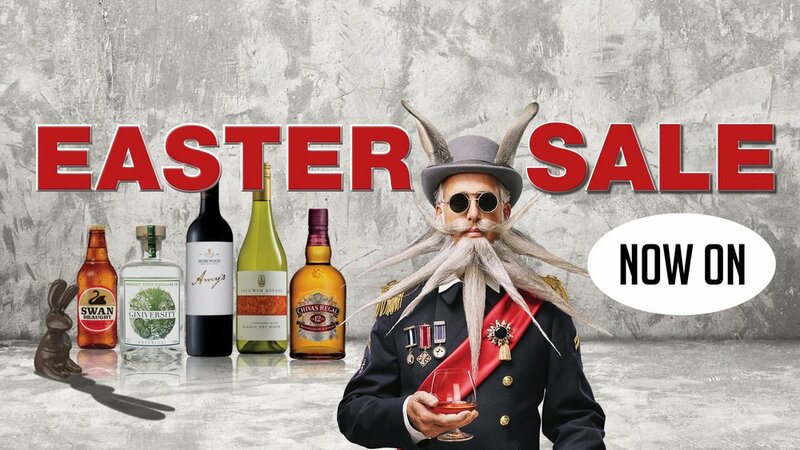 ... so in the spirit of tradition, and giving, and all things good, Liquor Barons Head Quarters are giving ONE LUCKY PERSON IN WA the chance to WIN ONE OF EVERYTHING featured in our Easter catalogue. That's 130 different drops to enjoy with your family & friends!